What Other Factors Should You Consider in a Rehab Program? What Other Mental and Substance Abuse Disorders Occur With LSD Abuse? LSD is a hallucinogenic drug well known for its psychological effects on the brain. While the drug has shown little evidence for being physiologically addictive, some users may develop a psychological dependence on it and need substance abuse treatment at a recovery center. Whether you or your loved one has other mental or substance problems that need treatment. How far you want to travel for recovery. 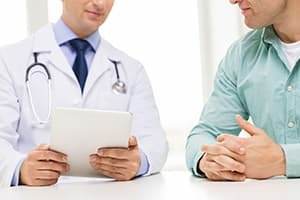 What type of rehabilitation program works best for you—inpatient, outpatient or 12-step. Who Answers? . A trained treatment advisor is ready to take your call. LSD, or lysergic acid diethylamide, is sold under dozens of different street names including purple dragon, acid, blotter, dots and trips, cid and blue heaven. It works by disrupting nerve cells and serotonin levels in the brain. The National Institute on Drug Abuse ranks LSD as one of the most powerful mind-altering drugs in North America and possibly the world. Just 30 micrograms, a dose typically smaller than a quarter-inch square of blotter paper soaked in LSD, can produce trips that last up to 12 hours. Just 30 micrograms can produce trips that last up to 12 hours. Even though the drug is not as strong as it was in the 1960s, LSD is still a popular choice for getting high. Its use is illegal because it delivers a high potential for abuse and serves no medical purpose. Consequently, the U.S. government has listed it as a Schedule I drug under the Controlled Substances Act. LSD distorts a person’s perception of reality within 30 to 90 minutes after a dose. It causes a person to see, hear, taste, smell or feel things that are not really there. Time can seem to slow down or speed up, and delusions can lead to a body-altering or out-of-body experience. Users may go through rapid emotional changes in a manner of seconds, which could lead to a fear of losing control. The nightmarish hallucinations seem so real that they can induce panic and even a fear of insanity or death. The drug doesn’t produce any classic cravings that some users experience with physically addictive drugs such as heroin or cocaine. But it does create an environment that the user may strive to reproduce again and again. A persistent desire for LSD. An inability to control the use of the hallucinogen. Continued use of the drug even when it interferes with obligations and social functions. A development of tolerance for the drug, requiring more and more of it to achieve the same high. While a single dose may produce a good high for the new user, an experienced person may need to take large quantities at once or several doses over a short period of time to achieve the same results. This behavior increases the chances of developing a psychological addiction. LSD also causes cross-tolerance with other hallucinogens. So taking LSD can lead to desensitization when ingesting hallucinogenicmushrooms, for instance. 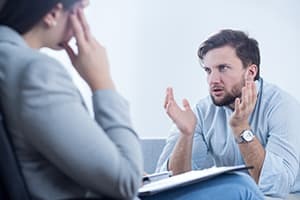 Treatment program types for LSD abuse encompass inpatient and outpatient treatment settings, as well as follow-up to help you maintain your sobriety. Which treatment option is best for you will depend upon your current circumstances and individual situation. Residential treatment varieties also include those of executive or luxury rehab. Executive or CEO rehabilitation settings allow patients to continue to participate in work duties while still receiving 24-hour care. Luxury residential centers are for those who expect a high level of service and amenities found at some of the best resorts. Outpatient options are also available. Partial hospitalization is for people with medical needs. You are at the facility and can access hospital services 4 to 5 days a week, 4 to 6 hours each day. A 12-step program is a free program for people suffering from alcohol and drug addictions. They are anonymous and based on support that clients receive from their sponsor. The role of the sponsor is often pivotal to the success of the program and the individual. Recovery begins with an assessment of the substance abuse and any associated mental health or medical conditions. Medical and therapeutic staff members craft treatment options that meet each patient’s needs. You then undergo a detoxification process to remove any remaining LSD from the body. When ready, you begin psychotherapy to discuss the consequences and triggers of substance abuse, and finally, you are ready to plan for a life without LSD. Therapy within the program will engage counselors and therapists who are trained for working with individuals who suffer from substance abuse. The process will help you to repair relationships with friends and family, identify situations that trigger you to use drugs and develop strategies to avoid those situations. There are several factors you’ll want to consider before choosing a substance abuse program. The cost of the program is often the first question that people ask. If you have insurance, call 1-888-319-2606 Who Answers? to speak with a treatment support specialist to determine how much of an inpatient or outpatient program will be covered. Number and certification of staff. Executive and luxury programs will usually be more costly than most standard programs. Some standard programs are free, and some luxury programs will cost tens of thousands of dollars per month. How much do you and your family want to travel for treatment? You must also consider the location of the LSD rehab center to your home and how much you and your family want to travel. While a recovery center closer to home may be slightly more expensive, the additional expense of traveling to visit may make the closer center more cost effective for you and your family. The severity of your addiction is going to determine the level and type of treatment you’ll need to help you recover. If you are suffering from polydrug abuse or a dual diagnosis, you must choose a center that has the qualified staff and individualized treatment programs for your situation—and programs that are familiar with, and have treated people who have experience with, hallucinogen abuse. Staff at the center should be appropriately licensed. Although licensure is not necessary for treatment, it will increase the probability that the counselors and therapists will be well-educated and prepared. State licensure for therapists is different in each state. Who Answers? to talk to a recovery support specialist about rehab programs for drug abuse and mental health disorders. It is important that you find a center that can treat both the drug addiction and the mental health issue. Treating one without the other will increase your potential for relapsing and using drugs once again. Without simultaneous treatment of any co-existing mental health issues – such as depression or anxiety –you may be tempted to use other drugs to “self-medicate” and feel better. Polysubstance abuse is also likely in individuals who use LSD. Most rehabs able to manage instances of LSD abuse will also be able to accommodate for treatment of other types of substance abuse-including alcohol, stimulants and various prescription medications. Unfortunately, flashbacks are common in people who use LSD. They can be frightening and disturbing, occur without warning and can happen a few days or even a year after the last drug use. Some individuals will experience hallucinogen-induced persisting perceptual disorder (HPPD).12 13 HPPD causes persistent flashbacks for years and has been described as the trip that never ends. The probability of developing HPPD is not known, but the effects are well-documented. During a bad LSD trip the individual will appeared frightened, angry and will try to get away from what they are seeing. Those experiencing a bad trip may appear to those around them as if they are experiencing an anxiety or panic attack. Fighting the experience will often make it worse. Using the same techniques you would in a panic attack can help. Tell them to breathe deeply. In most cases, the LSD high is self-limiting—treatment for the trip itself may not be necessary. However, if the person is having trouble breathing, chest pain, abdominal pain or other symptoms that indicate they are in physical danger, it is essential they are treated at a hospital. How the person is treated in the emergency room will be dependent upon their physical status. The ER staff may prescribe benzodiazepines to help with the anxiety of the trip. If you or a loved one regularly uses hallucinogenic drugs, such as LSD, or LSD in combination with other drugs, your risks of experiencing a bad trip may be increased, and your ability to function in daily life may suffer. Drug treatment programs are designed to help individuals in these situations get their lives back. Many people who abuse LSD or other drugs, including alcohol, will require treatment at an addiction recovery program. If you need help finding a program, contact a treatment advisor at 1-888-319-2606 Who Answers? .
. Drugs.com. LSD: Effects, Hazards & Extent of Use – Drugs.com. 2015. Available at: http://www.drugs.com/illicit/lsd.html. Accessed November 23, 2015.
. Drugabuse.gov. Hallucinogens – LSD, Peyote, Psilocybin, and PCP. 2015. Available at: http://www.drugabuse.gov/publications/drugfacts/hallucinogens-lsd-peyote-psilocybin-pcp. Accessed November 23, 2015.
. Gresch PJ, Smith RL, Barrett RJ, Sanders-Bush E. Behavioral tolerance to lysergic acid diethylamide is associated with reduced serotonin-2A receptor signaling in rat cortex. Neuropsychopharmacology. 2005 Sep;30(9):1693-702.
. Treatment C. Chapter 8. Intensive Outpatient Treatment Approaches. Substance Abuse and Mental Health Services Administration (US). 2006. Available at: http://www.ncbi.nlm.nih.gov/books/NBK64102/. Accessed November 24, 2015.
. Nhtsa.gov. Drugs and Human Performance FACT SHEETS – Lysergic acid diethylamide (LSD). 2015. Available at: http://www.nhtsa.gov/people/injury/research/job185drugs/lysergic.htm. Accessed November 23, 2015.
. Treatment C. Chapter 4-Twelve-Step-Based Programs. Substance Abuse and Mental Health Services Administration (US). 1999. Available at: http://www.ncbi.nlm.nih.gov/books/NBK64351/. Accessed November 24, 2015.
. Nami.org. NAMI: National Alliance on Mental Illness | Dual Diagnosis. 2015. Available at: https://www.nami.org/Learn-More/Mental-Health-Conditions/Related-Conditions/Dual-Diagnosis. Accessed November 23, 2015.
. Halpern JH, Pope HG Jr. Hallucinogen persisting perception disorder: what do we know after 50 years? Drug Alcohol Depend. 2003 Mar 1;69(2):109-19.